Discover How To Automate Your Entire Sales Process! A good salesman spends 30 to 40 percent of their time hunting down leads. But, a lot of that time could be better spent making money. That’s where Discover comes in. With Smart Software analyzing the web and multiple social media platforms, DISCOVER brings all your prospects into one easy-to-search database. Visualize Your Sales Pipeline: Quit crunching numbers and get a real-time look at your lead generation process! Find your clogs and flush them out! 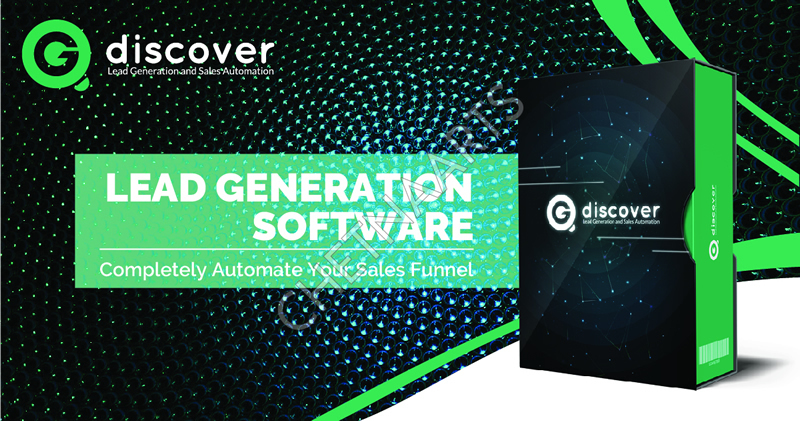 Automate lead searches and auto response expansion: Discover does not just automate sales generation. It also lets you quickly add leads to your e-mail lists and schedule searches to fit your calendar. Sell More: Most salesmen spend just 22 percent of the workweek on sales-related activities. By letting Discover hunt down new leads, you can flip that ratio on its head. If you’re ready to accelerate your sales, input your e-mail below!